From past few decades, World Wide Web has become popular hub for online buying as well as selling product and services across the world. In fact, Internet is considered one of the most effective channel for promote your online business. In the today’s capitalistic competitive Internet market, majority of people are spending big sum of money for promotion of their online business for immediate brand recognition and high traffic rate. Word-of-mouth is one-of-its-kind tool most commonly used for promotion of online business in competitive marketplace. This type of advertising strategy includes several ways sub categorized as online directory, informative article marketing, blogging, forum postings, e-mail marketing, Press release marketing, social networking (Facebook, Myspace), social bookmarking and so on. However, there are many free promotional tools through which a person can advertise his online business and bring high rate of targeted traffic towards his website free-of-cost. Below, a set of some effective ways of free advertising of online business are discussed in brief. Blogging: It is the most effective tool of advertising particular business online among potential visitors. 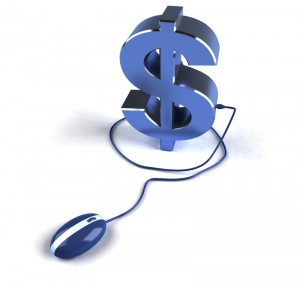 With the help of Google AdSense ads, one can make lots of money from his blog. The best part about blogging is that it’s free means you can start a simple blog free of cost. All you need to do is post 100% original and relevant content on your blog along with link of your personal site in order to promote your online business. Presently, there are many CMS and web applications like Drupal, WordPress, Zen Cart, Magento, osCommerce, Joomla by using which a person can manage content of his blog easily. Social bookmarking: There are many popular web portals like de.lic.ious, StumbleUpon, Squidoo, Digg, and Reddit mostly used to discover, manage and share favorite websites, web content, videos, blogs, news articles etc. specifically aimed to spread good word on websites. This type of advertising way is most commonly used for creating back links to a website. Directories: Online directory submission is another way to create brand awareness about your online business among prospective visitors easily. Majority of online directories are absolutely free to sign up for and so, you can add company’s name, website link with short description about your business. By means of this promotion method, one can come into eyes of his potential online viewers easily. Article marketing: It is the best way for free publicity of a website in the World Wide Web. You can create good number of back links for your web portal through Article Marketing. By writing informative articles about your business, product and services, one can expose his website more efficiently among target audience. Press Release marketing: Submit latest updates about your business in the form of Press Release on different online PR websites. By this way, you are making your target visitors aware from all the latest happenings about your company. All the above discussed are the most effective ways of free advertising widely used across the globe to create brand awareness of a online business. Promote your online business in the highly competitive World Wide Web free-of-cost by using the above mentioned effective ways.